Hales Gallery is proud to announce the reiteration of Rachael Champion's Interstate 495 is a Terminal Moraine at Molloy College, Hempstead, New York. The site of interest in Interstate 495 is a Terminal Moraine is Champion’s birthplace, Long Island, NY. For this exhibition, Champion delves into the prehistory of Long Island and how these histories manifest in contemporary life. The title of the exhibition uses Interstate 495 (also known as the “Long Island Expressway”, “L.I.E” and “The Expressway”) as a metaphor to link these deep time relationships. I-495 runs through the very center of Long Island and functions as the primary vehicular conduit to one of the most densely populated places in the US. The road is situated along a terminal moraine left over from the receding glaciers of the Earth’s most recent Ice Age. 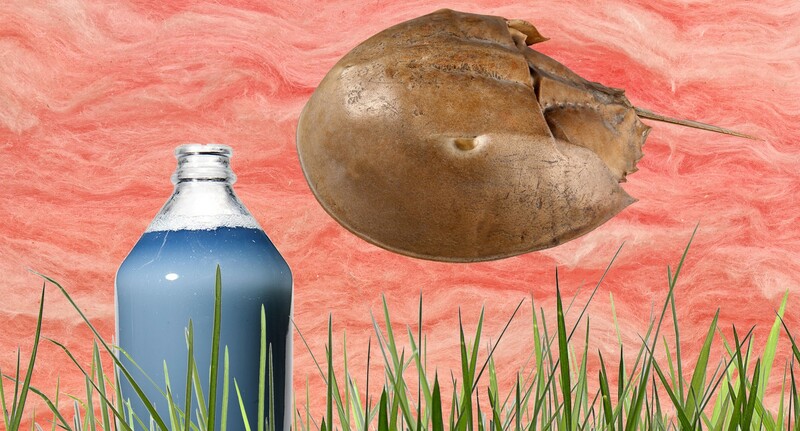 Central to the exhibition is an investigation into the Atlantic horseshoe crab (Limulus Polyphemus), a 450-million-year-old species of arthropods, which live in the shallow coastal waters on the Eastern seaboard of the United States. This species of great prehistoric significance plays a paramount role in the biomedical industry due to the extraordinary characteristics of their blue blood, which is routinely extracted for the detection and quantification of bacterial endotoxins. For Interstate 495 is a Terminal Moraine, Champion has collaborated with CERCOM, Molloy College’s Center for Environmental Research and Coastal Ocean Monitoring. This marine science laboratory located on the Great South Bay studies the Atlantic horseshoe crab through captive breeding and conservation research. A Series of cylindrical photographic sculptures that collage imagery from CERCOM and a variety of Long Island landscapes punctuate the walls of the Kellenberg Art Gallery at Molloy College. These works feature industrial areas where raw materials are extracted, processed and recycled on Long Island and the natural habitats of the Atlantic horseshoe crab including Captree Island in the Great South Bay and McAllister County Park on the Long Island Sound. Displayed in and amongst Champion’s photographic sculptural works is information and research generated from CERCOM. This iteration of Interstate 495 is a Terminal Moraine is a fusion of disciplines combining CERCOM’s ground-breaking environmental research with Champion’s contemporary artworks.